If you're seeing your skin change as you age, you're likely looking for ways to stop or reverse the damage. Most of these negative changes are a result of photoaging (damage from the sun). And fortunately, a new study has found another way to help fight its effects. Previous research suggested that astaxanthin as well as hydrolyzed collagen could both help fight the effects of photoaging. 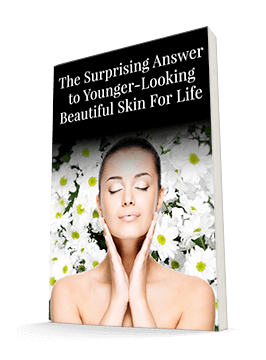 Astaxanthin is an antioxidant that's gaining attention as a fantastic nutrient for the skin. Hydrolyzed collagen is produced from collagen found in the bones, skin, and connective tissues of animals such as cattle, fish, horses, pigs, and rabbits. This study decided to combine them and see how they worked together. The researchers treated 44 healthy individuals with either 2 mg per day of astaxanthin combined with 3 grams per day of collagen hydrolysate or a placebo for 12 weeks. They then evaluated the elasticity and hydration levels of the subjects' facial skin. They also artificially irradiated the participants' skin with ultraviolet rays to examine the treatment's ability to protect the subjects. Those taking the supplements demonstrated a big improvement in skin elasticity and water loss. While there was no significant difference in UV protection, the supplement group did exhibit an increase in gene expression linked to healthy skin. To see this type of improvement in just 12 weeks of taking astaxanthin and collagen hydrolysate is impressive. It can help erase years of damage. Right now, there isn't a supplement that contains both nutrients. But you can find astaxanthin in the supplement King Chlorella. Next week, I'll tell you more about how you can get collagen in your diet so that you can have the most effective combination for healthy skin. Yoon HS1, Cho HH, Cho S, Lee SR, Shin MH, Chung JH. "Supplementating with Dietary Astaxanthin Combined with Collagen Hydrolysate Improves Facial Elasticity and Decreases Matrix Metalloproteinase-1 and -12 Expression: A Comparative Study with Placebo," Journal of Med Food. 2014 Jun 23. [Epub ahead of print].